Every person deserves to have the highest quality sound in their vehicle. Stereo/radio units are among the most popular and customizable aspects of your vehicle after you purchase it. At the same time, a surprising number of people do not know how to do it. With that in mind, let’s take a moment to figure out how to install double din head units to make it simpler the next time you want to. There are a few things you will have to plan long before you bring a screwdriver to your dashboard stereo system. The most straightforward thing to figure out is the type of head unit you will want. For the sake of this quick instructional guide, we are assuming that you are getting a double din head unit. The benefit of the double din head unit is that it combines a single DIN head unit and a single DIN compact disc player in one. At the same time, it requires the double DIN measurement size, which is typically 180 x 100 mm. Be sure to measure out your vehicle’s stereo slot before purchasing a double DIN unit as it may be too big to fit into smaller slots. Understand a well that some of the slots (especially those made by higher end car manufacturers) will not have a typical 1 or 2 DIN size, making lining things up a challenge. Either way, carefully read through your car manual to determine what the size of your stereo slot is and work from there. If you have a car that supports the double DIN unit, your next course of action is to consider what make and model you will want to buy. There are dozens of units currently on the market. We have compared best double din stereo you can buy in this guide, if you are a pioneer fan you should see our comparison of best Pioneer head units here. Kenwood fan? 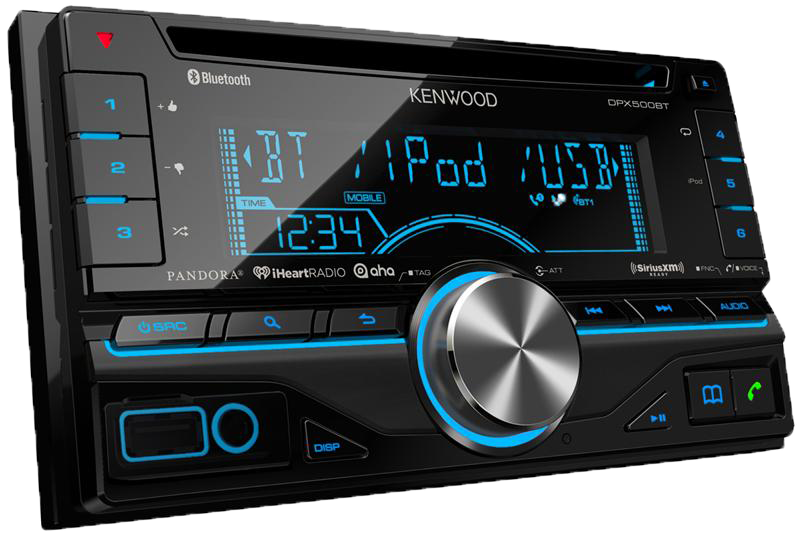 We got you covered in this Kenwood head unit comparison. As 2 DIN head units have a lot of options, the best unit for you may not be the best unit for someone else and vise versa. The final thing you will have to do when planning is to work out what equipment you will need to install the double DIN radio. Some manufacturers provide you with all the pieces along with the unit while others will assume that you have the connector pieces already. Finally, you will need the right screwdriver or tool to remove the existing unit. Installing your double DIN head unit begins with removing the existing head unit. Remove any existing screws and the older head unit should slide right out for you. Keep the old head unit as it may be practical to re-install if you are going to sell the car later. Keep track of the wires while removing the old head unit and don’t let them get lost. If you have trouble removing the wires, then keep wiggling and they will eventually come loose. Take the double din stereo (connect it to an adaptor piece if applicable) and install the wires in the back. The configuration will change depending on what double DIN stereo you have purchased. Instructions should also be provided with your new radio as well. You will most likely be able to plug and play thanks to a standardization of radio components. Anything more complex may require you having to crimp the wires to restore the signal between the speaker and anything new that you install. Last but not least, the last things you need to do are power on your car and give your new head unit a try. Start by turning the volume down all the way on the double din head unit. Slowly turn it up while something is playing to help you calibrate what the correct sound level will be. 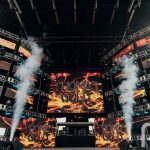 In addition, you will want to calibrate various aspects of the sound for the inside of your vehicle. And there you go, you now have a new double DIN radio system in your car! With a lot of foresight and planning, you can make a rather complex process much more simple and straightforward. Good luck! Read more on head unit installation here if you need more detailed guide.